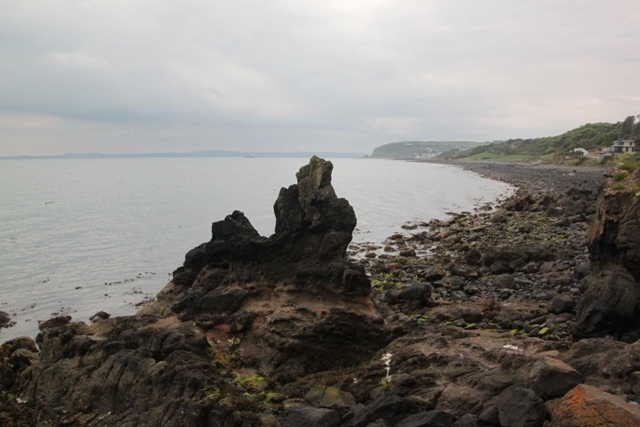 Having explored every nook and cranny of Carrickfergus Castle we decided to spend the afternoon walking along the shores of Belfast Lough. Son’s energy levels prior to this in abundance, were instantly depleted when the word “walk” was uttered. Persistent parents are we though so we forged ahead. 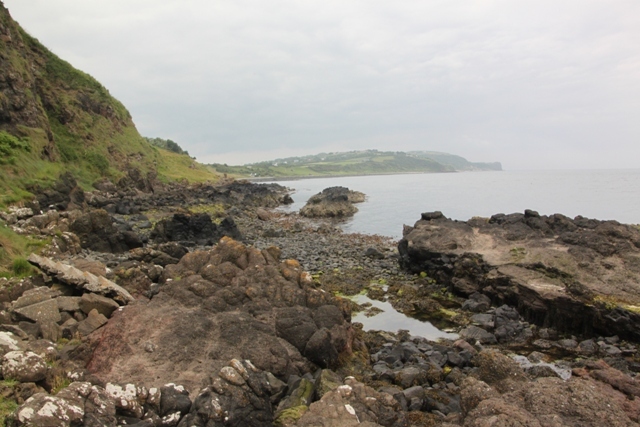 Just a short drive further along the Co. Antrim coast is the little town of Whitehead – having read about the Black Head Path that leads from the town to a lighthouse I was curious and keen to check it out. 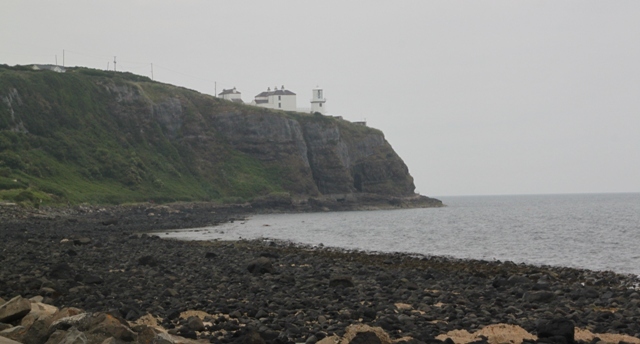 A four mile (there and back) stroll along a gentle and well paved track (apart from a short climb up to the lighthouse at the end) seemed like a good idea. Plenty of free parking by the boat club in the town meant we soon set off past a row of brightly coloured terraced houses and along a path which, from the word go, was right by the sea. Son’s groaning ceased with this discovery – a walk on the beach somehow always seems better to him. We found lots of interesting and different wildlife habitats – from grassland to woodland (known locally as the Magic Forest) and of course that wonderful rocky, craggy coastline. 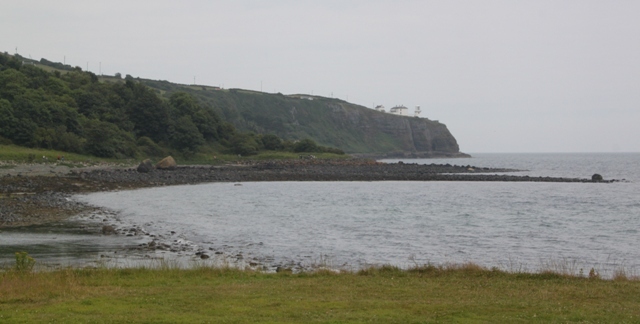 Belfast Lough is an area of Scientific Interest famed for its bird population, Son was more intrigued by the huge ferries travelling to and from Belfast. 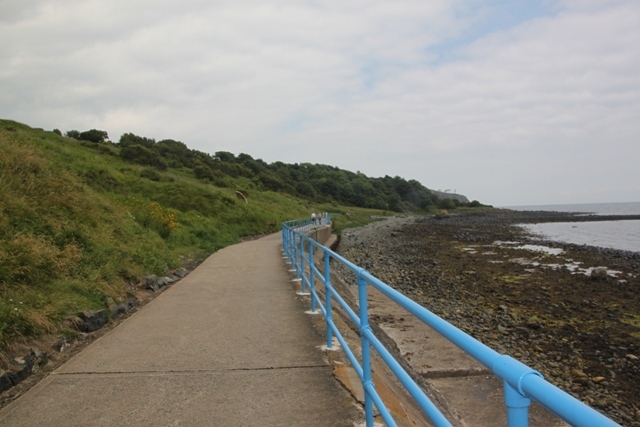 The path dates back to 1892, designed for those Victorian types who loved nothing more than a bracing seaside stroll. It was built by the railway company whose goal was to attract day-trippers and holiday makers to the growing resort of Whitehead. Hard to believe nowadays, the town is very quiet and definitely not a resort but the Blackhead Path has changed little. 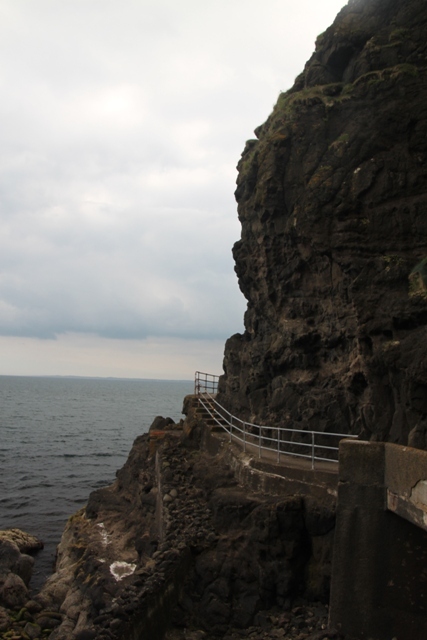 We followed it along the shore of the Lough past caves and coves. Plenty of places to stop and take in the views and an easy path to walk. 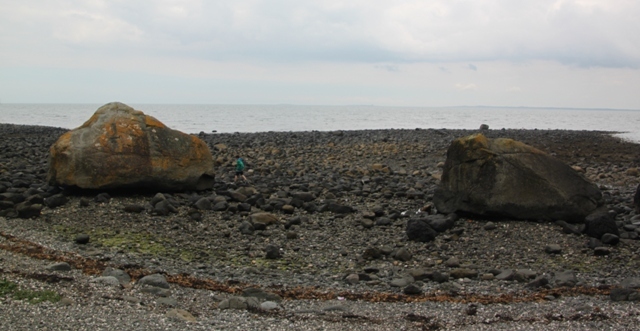 Son preferred the adventurous option though and clambered over stones on the rocky beach finding a wealth of interesting pebbles for his growing collection. Some huge boulders near the shoreline – known locally as the Wren’s Eggs – caught our attention right at the beginning of our walk. 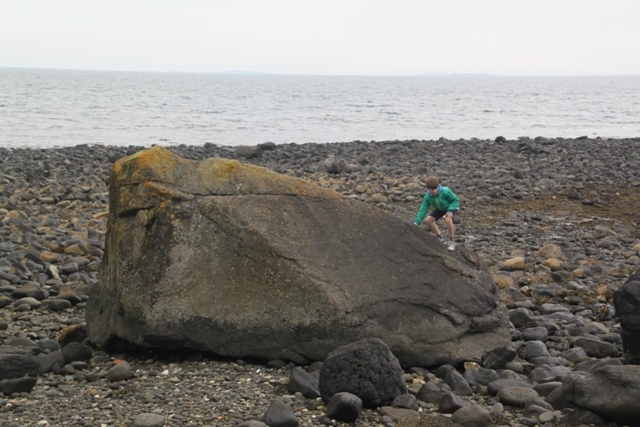 Glacial erratics deposited here 10,000 plus years ago, Son found they were great for climbing and scaling. 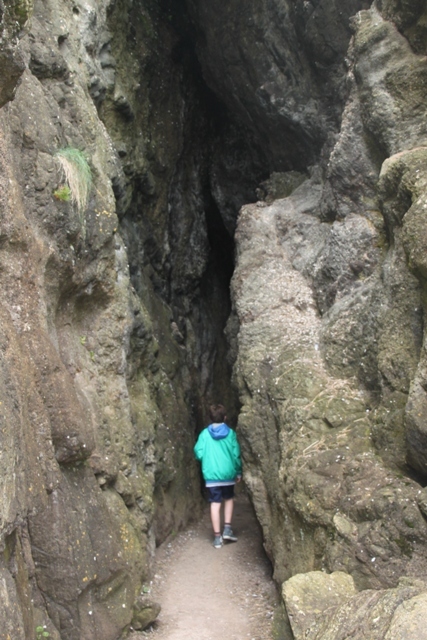 We followed the path through some interesting rock formations and found Smuggler’s Cave – not too sure if smugglers hung out but amazingly a schoolteacher called Thomas McCartney set up home in the cave in 1804. We peeked in baffled as to how this could even be possible. A lot of steps right at the end and a fairly steep climb up to Black Head Lighthouse, worth it though for the views. On a clear day apparently you can see right across the Irish Sea to the Copeland Islands and maybe even Scotland – this was not our experience. The light house is interesting itself, built in 1902 we thought about the many ships it must have guided to safety, including Titanic. 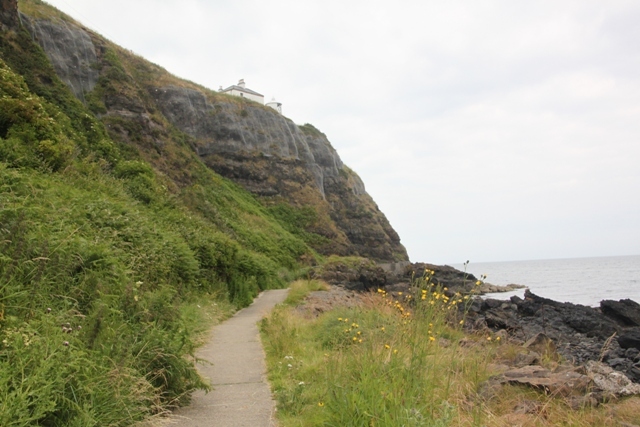 We sat, took in the sea views then continued back along a higher level path until eventually we descended back to the sea. More beach time, more pebbles then we left the Black Head Path. 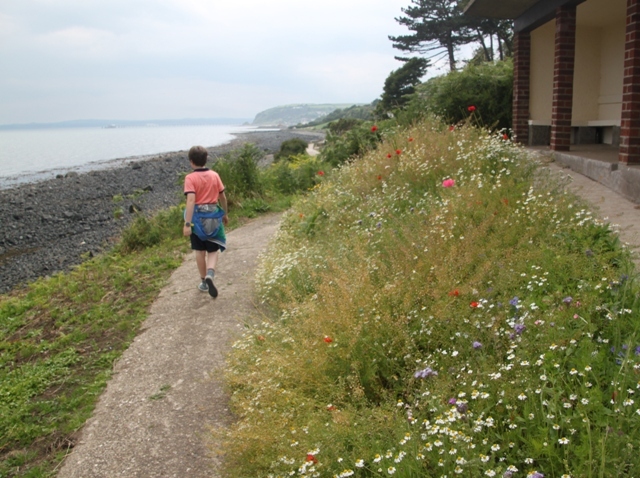 A walk with a wow – something for everyone and a bag of pebbles for an ever increasing stone collection – Son left happy too. That looks like a great walk. As someone who hates sand, that’s my type of beach too. 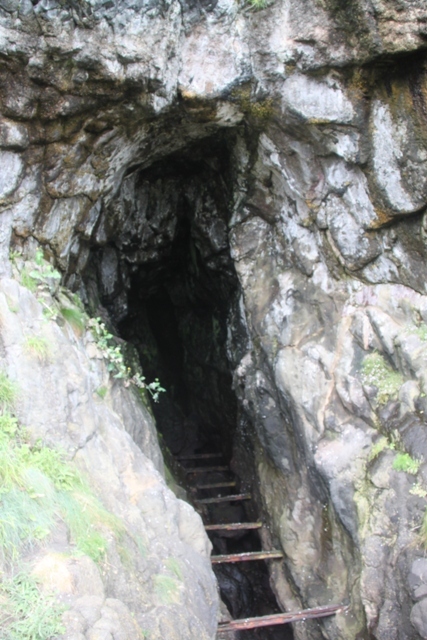 I understand people living in caves in warmer climates as a way to keep cool but I don’t think I can understand someone living in a small, dark, dank cave in Ireland. Incidentally my boys all also moan about going for walks until we are on one. Then we experience the opposite problem of getting them to leave. I’m right with you on the sand thing Laura – I loathe it, so for me it’s pebbly beaches all the way. We had to endure so much moaning about this walk but exactly like you said we ended up having to drag him away!! Have a great weekend. Yes it is lovely – peaceful, quiet and gorgeous scenery!! For such a nice place, I did not see many visitors. Is that typical? This would be a place I would want to see! It was virtually deserted Dennis – we saw a couple of people max on the path and no-one on the beach. I agree – it is gorgeous and surprisingly deserted. That was good for us though!! That’s one of those places I could sit for ours gazing at the scenery! Beautiful!!! It is a special place Erika – peaceful and gorgeous! Have a great weekend. It is rugged and beautiful – have a lovely weekend Suzanne! I love to read about your travels around Ireland and Northern Ireland, Joy. It’s such an extraordinary place, I wish we could visit it again. Thank you for coming along Reggie! We love it there – we visit every summer and always have such a great time. I think you’re so lucky to be able to travel there, Joy. And it’s clear your son enjoys it too! Sounds like my kind of walk! I love lighthouses too. There’s just something about a lighthouse isn’t there – I find them so intriguing and always seek one out (if I can) if we’re by the sea. Wow…what a walk!! And I love lighthouses too…there is a great one in Como. They are all very mysterious to me. A lighthouse on Como sounds like one I’d definitely like to check out Diana!! What a great location for walking or just sitting. This place looks like a gem. Thanks so much for sharing this one, Joy. Have a great weekend. It is a bit special isn’t it George – I love rocky coastlines and lighthouses so it was just perfect for me! Enjoy your weekend too. 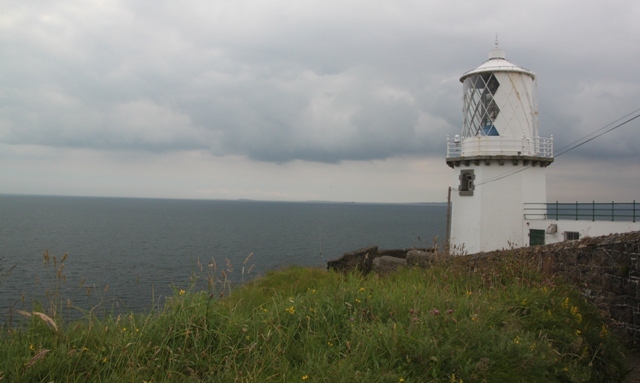 It was just perfect Pam – lighthouses and rocky coastlines, I just love them both. Hope your weekend is a good one too! The boulders look huge ! Can you find some fossils over there ? Is it typical in Ireland to find fossils or is not the right kind of rocks ? You can find fossils in Ireland – I’m never too sure what I’m looking for though, some my son claims to be fossils probably aren’t – but it keeps him happy!! Great that you get to go to Wales, June should be a nice time, that’s when we visited Cardiff etc and the weather was gorgeous. We also spent a week on the Gower Peninsula in Wales one June – that was stunning. Looking forward to hearing about your discoveries there. 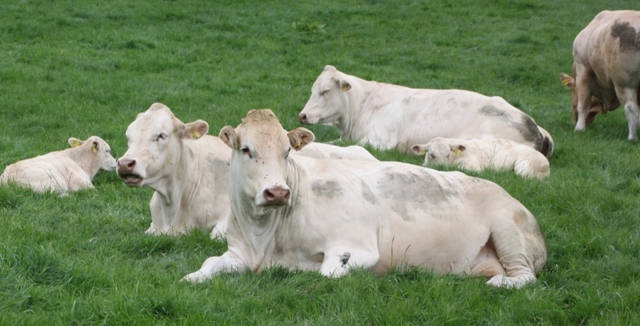 We’re off to Wales again – north part this time – in a couple of weekends time! It was – plenty to see and keep everyone occupied Patrick! Yes, those pebbles and a beach to explore made all the difference in stopping the groaning!! Meant everyone enjoyed themselves too. This is Ireland in summer Rosemary – I remember that day hearing people comment how lucky we were with the weather!!! Still, at least it didn’t rain – the walk was gorgeous too. It must get very cold in winter but the scenery is gorgeous!